Farrar, Straus and Giroux (BYR), 9780374309053, 304pp. Jeanne Zulick Ferruolo lives in Ellington, Connecticut, with her husband and children. 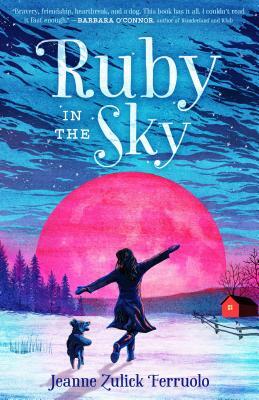 Ruby in the Sky is her first novel, and it won the SCBWI Work-in-Progress Award, the PEN New England Susan P. Bloom Children’s Book Discovery Award, and the New Voices in Children’s Literature: Tassy Walden Award.